If you feel less than thrilled with your smile due to imperfections, your daily confidence may suffer. Smiling is how you express your enjoyment, so you should certainly not feel embarrassed to share your joy with others. Fortunately, cosmetic dentistry offers a variety of treatments that can dramatically improve the appearance of your smile. 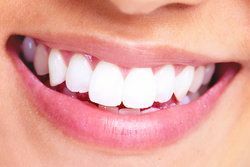 If you are suffering from issues like chips, cracks, dissatisfaction with tooth shape or size, or discoloration, both porcelain veneers and dental bonding can help. Feeling unsure which treatment to select? By becoming more familiar with the details of these services, you can make an informed decision that will truly make you smile. Windsor dentist Stephen Lipman reviews the differences between these procedures. Porcelain veneers are made out of super thin ceramic pieces formed to fit over your teeth. The ceramic is translucent, and color-customizable, so you and your cosmetic dentist can agree on everything from the shape, length, size, and color of the veneers. The porcelain veneer treatment begins with impressions. Your dentist will take either mold impressions or digital impressions of your teeth, which he or she will send to a master ceramicist at a lab. The ceramicist will create the veneers and send them to your dentist. During your follow-up visit, your dentist will remove a minimal portion of your tooth’s outermost layer to prepare it for veneer placement. Using a special cement, the veneer will be adhered permanently to the visible surface of your tooth. You may request one veneer or multiple veneers. Dental bonding is an additive, direct process that your dentist performs by hand. The dentist will use composite, which is the same resin-based material used for tooth-colored fillings. Like veneers, you can customize the color of composite. The dental bonding procedure begins with quick preparation work. Your dentist will first create texture on the surface of your tooth, followed by the application of a primer. He will then apply thin layers of composite to your tooth, either painting it on for color coverage, or sculpting it into the desired shape. Your dentist will then use a special light to dry and harden the bonded tooth, make final adjustments to the shape, and then polish the bonded tooth. If you wish for a more beautiful, uniform smile, porcelain veneers or dental bonding may offer you the dazzling smile you desire. To learn more about which treatment is best for you, contact cosmetic dentist Stephen Lipman.